Effective real estate branding can leave a deep and lasting impression on your potential clients. For Realtors in 2017, it’s one of the most crucial cues that buyers and sellers look for to know you take your business seriously. After all, if you don’t take your own branding seriously, why should anyone trust you to market their home? In this guide, we’ll walk you through step-by-step instructions on how to build the perfect real estate brand. While we do cover the differences between branding for individual Realtors, teams, and brokerages, the basic steps outlined here will work for real estate business. Remember that your personal website will be a crucial platform for your branding. Stand out from the crowd with a professional turnkey IDX website from Placester, one of our recommended real estate website builders. Not just another pretty template, Placester sites offer sophisticated lead capture, an integrated CRM, drip campaigns, and more. Request a demo today. I know this may sound like it’s a little too good to be true, but the hard truth is that this formula can take a lot of work to get right. More importantly, if you decide to ignore it, or worse, never even think about your branding, your target audience will come up with their own idea of what your brand is all about. 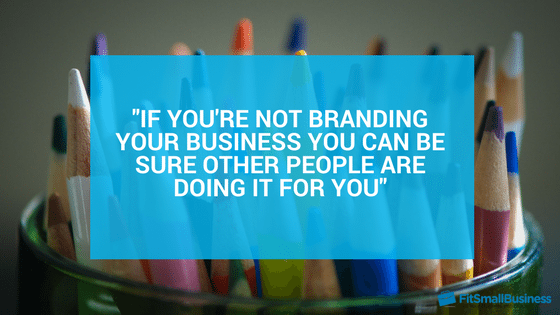 If you’re not branding your business, you can be sure other people are doing it for you. Okay, now that you know a little more about what goes into creating a real estate brand, let’s dig a little deeper into the process. 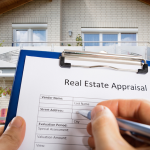 If you follow the six steps below, you can start building a real estate brand that lasts. Before you even think about building a real estate brand, you need to understand your audience. If you want to make money, your audience should be the people that are most likely to place a high value on the services you offer. For most Realtors, that means the people that live in your geographic farm area. If you tailor your branding to them, they are going to be more likely to respond positively to your brand and hire you. It really is that simple. Political leanings: is the area primarily conservative or progressive? More abstract: What do people in your farm area value? You can find a lot of this information in census reports, government databases, wikipedia, or from your own personal experiences. Just keep in mind that your goal here is to get a general sense of what your target audience may like or dislike, so don’t get too wrapped up trying to find exact numbers. Next, you’re going to try and put all this data together to come up what advertising professionals call a “buyer persona”. Basically a fancy way of answering the question of who your farm area would be if they were one person. Once you have enough information about your farm together, you’re going to want to create a “persona” for both buyers and sellers. While this may feel a bit silly, it’s actually a crucial step in the real estate branding process. Here’s why: When you sit down to come up with a great name for your team or brokerage, a slogan, or logo, you’re going to keep the persona’s you create here in the back of your mind. You can even give them a name if it helps! That way, when you’re looking over 10 variations for your logo, you can ask yourself “what would Jennifer think of this logo”? Location: Lives in or is relocating to San Diego. Step 3: Outline Your Value Add: Why Should Someone Hire You Instead Of Another Agent Or Team? Okay, now that you have a better understanding of who your audience is and what they might like, it’s time to outline your value add. Why should a buyer choose you to help them find a home? Why should a seller choose you to sell their home for top dollar? Do you have great marketing skills? Do you have great closing skills? 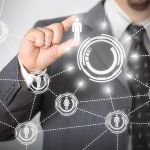 Do you have a great network of agents, lenders, or contractors? Do you specialize in a small neighborhood? Are you a master of Facebook advertising? Do you have a great eye for design? Do you have a professional background or skills that can help your clients? What’s your work ethic like? Are you a data oriented person? Great at crunching numbers? Write down all of your strengths and skills that you think people in your farm area can get value from. Once you have a solid list together, try and rank them from most important, to least important. 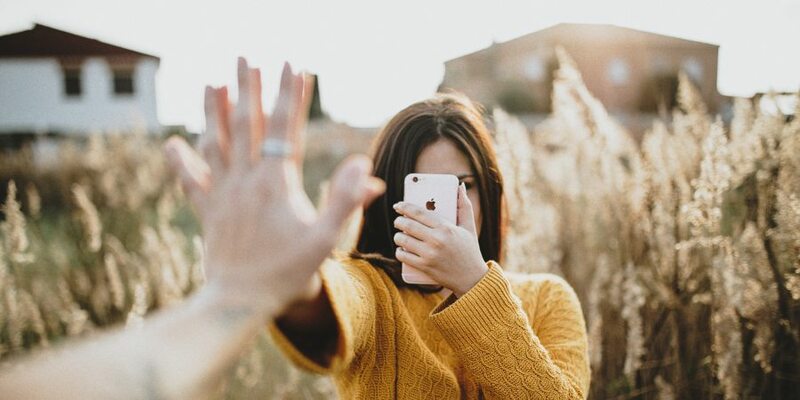 When building your real estate brand, you’re going to want to try and integrate the top five or so skills and strengths you think are most important for your audience. Now that you have a good idea of who your target audience is, and what skills and strengths you have to offer them, you need to analyze the competition. The idea is to get a quick overview of the top producing agents, teams, and brokerages in your farm area. Pay special attention to their business name, logo, and slogan. What does their branding look like? Is it more traditional or more young and hip? What do you think they’re doing wrong? Finally, what can you emulate with your own branding? To make the process easier, you might want to take screenshots of their websites, save logos, and copy their slogans into a Word document or Pinterest board. Seeing them all together in one place will help you find out what they have in common, or maybe give you an opportunity to create a new and unique brand based on your research. For example, are the majority of the brands in your farm area still very traditional while demographics are changing? Okay, so far you’ve gathered information on your farm area, assessed your own skills and strengths, and analysed your competition. Now comes the fun part. Putting everything you’ve learned into practice and actually building your brand. While there are a lot of elements in creating a brand from scratch, here are the four main things you should work on in the coming weeks. Naming your real estate business is a crucial part of building your brand. After all, it’s the one thing that will be included in every single communication, advertisement, or marketing effort, you make in your career. If you’re a managing broker, it will be the only element of your brand written on legal documents. While what you name your company is important, it doesn’t have to be difficult or complicated. There are simple formulas you can use to come up with a name that will work great pretty much anywhere. One of the most common is something you’ve heard since the day you were born; your name. Your name + “real estate term” (realty, property services, etc) is a safe bet in pretty much any market in the country. If you want to dig deeper about coming up with a name for your real estate business, check out our article 24 Real Estate Company Name Ideas From the Pros. While you don’t really need a slogan, having an effective one can be extremely useful for your real estate brand. A slogan will be a quick, memorable way for your audience to learn something about your brand. Creating a great slogan isn’t easy, but we have an in-depth guide to give you inspiration from the world’s best real estate marketers, and help you write your own. Check out our guide to real estate slogans here. After naming your company, the next step is to figure out how it should be shown off to your market. While your logo will have a smaller footprint than your name, it should still be on all your ads, your business cards, your website, and social media. That’s a lot of impressions. Unlike naming your company, creating an effective logo that telegraphs your brand will likely require you to hire a professional designer. Graphic design may seem easy, but so does photography. How much better do professional listing pictures look than ones you shot yourself? Unless you have skills with graphic design, hire a pro. For an extensive look at some of the elements that go into great real estate logos and what makes them work, check out our article 25 Top Real Estate Logos From the Pros. If you need professional branding, DesignBro offers real estate agents creative branding options that stand apart from the crowd. DesignBro holds brand campaign competitions between groups of hand-selected professional designers. Then, they present this unique and varied set of brand identity options for you to choose from. Their Brand Identity Design package includes: a logo design, business card design, letterhead, envelope, & compliment note/slips design. Click here to get started with DesignBro. Once you’ve found that perfect real estate branding concept, it’s time to apply it all of your marketing materials. This includes both web-based mediums, such as, your website, Zillow profile, Facebook page, etc. as well as print mediums, like your yard signs, business cards, flyers, and more. If you need additional help designing your website or print ads, you can always return to 99designs with another campaign. Let’s face it, building a brand is very hard work. Like all creative endeavours, there are professional who devote their entire careers to creating brands for businesses large and small. If they do their jobs correctly, it can sometimes appear like they didn’t do much work at all. Yes. Branding is hard work. But that work can help you close more deals and make more money. 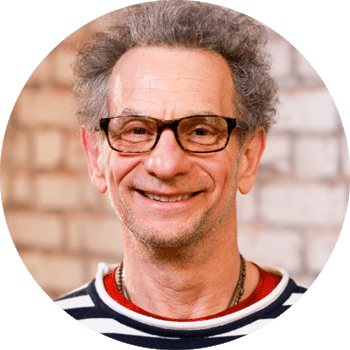 Even if you fail at creating a great brand, just going through the process will give you valuable insight into your business and your place in the market. 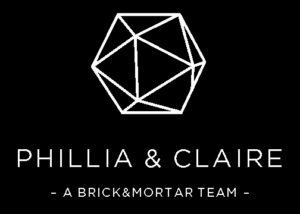 To help us understand how real estate companies develop their brand, we spoke with two successful agencies, Phillia and Claire and Klara Madlin, who recently re-designed their brands. What makes them good examples is that they emphasize both their unique approaches to real estate, as well as their unique personality traits. Want to learn more about building your personal brand? 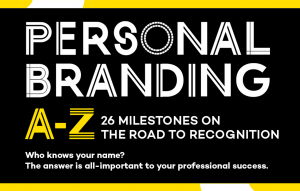 Check out Placester’s amazing infographic on personal branding here. it has 26 succinct, actionable tips to jumpstart any branding project. Even though real estate branding can require a lot of work, it’s well worth the effort. An effective brand that you can use across your online and offline marketing and advertising materials will have an excellent ROI. So wait, you think 99 design and Fivver is the the way to get “professional” graphic design? That is a joke that you are promoting the graphic design black market. Many if not ALL are not real professional’s to prostitute their services for 5.00. Hi Sarah, For many Realtors spending ANY money at all on a logo is considered a luxury so yes, spending $900 on 99 Designs is considered working with professionals in the industry. Not everyone can afford a complete rebrand from Pentagram. Hello! I’m David from Manila, Philippines. I’m impressed with this article. I found it very essential; a vital source of information especially for beginners in Real Estate. Any tips for newbies in the industry like me? Check out more of the articles on the site for actionable strategy that you can apply to your business right away. Also, since you’re interested in branding, I would take the time and effort necessary to create a brand that has an impact. This might take some time, but in the long run it will pay off. Best of luck! Thank you for giving examples that is very helpful! Glad you liked the article and hope you have an awesome busy season!